A linen-type postcard of the Old Stone Mill in Touro Park; a house is visible in the background. 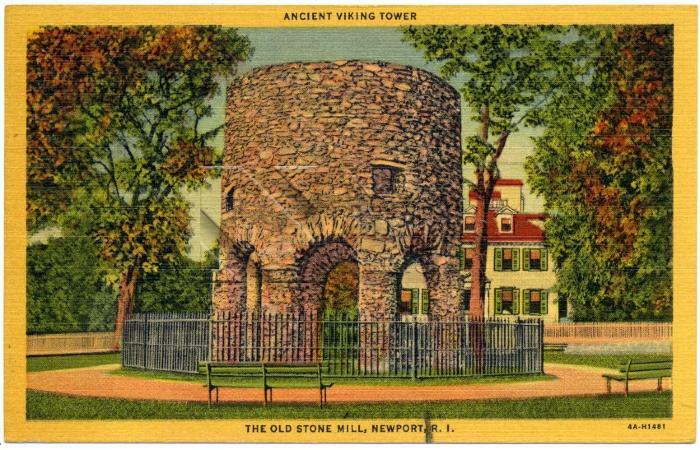 Caption reads: "ANCIENT VIKING TOWER." The reverse has handwriting, a printed description, and a postmark of August 13, 1952.